We had another emergency tree removal job today. 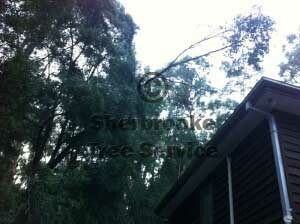 A small tree had uprooted from the ground and was leaning out over the neighbours house and water tanks in Mt Evelyn. We couldn’t tell what exactly was holding the tree up – obviously it was branches, but by themselves they were not really strong enough to hold the tree in place. 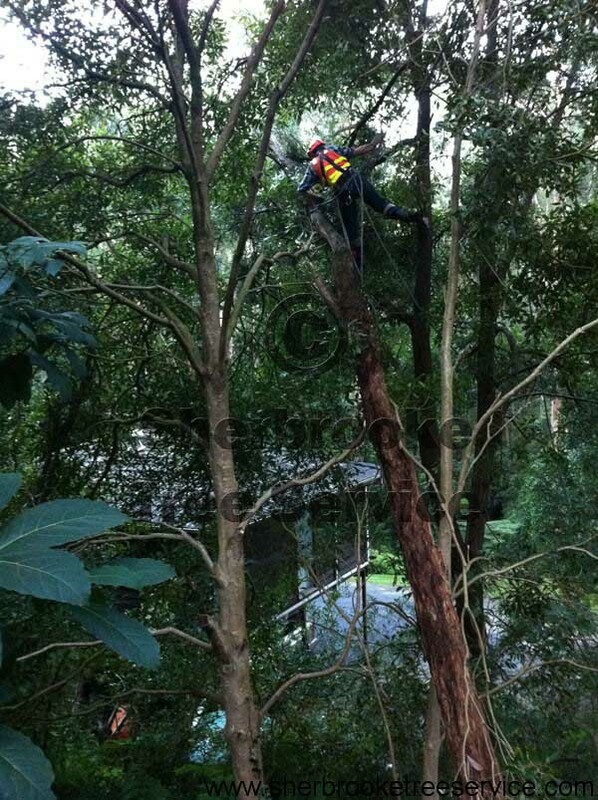 The main priority on these kinds of jobs is getting the tree stabilised so it can fall no further. During the main storm damaged tree season, this can be difficult to achieve; it is darker sooner, often wet or rainy making everything heavier and more slippery to handle. In this particular case we had two strong high points, reasonably close to the tree that was tipping out of the ground. We also had enough daylight left to make the job not require extra lighting. 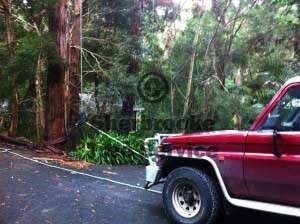 There are some photos of the tree being rigged up and stabilised. If you need help with trees that cannot be done by emergency tree services such as CFA or SES, we have the equipment and expertise to stabilise the tree. If you need a quote for your trees call 03 5968 8041 or 0428 383 677.